We have recently been talking about how to figure out what to do once you leave the service. In the last string of posts we looked at what you would like to do in the future, and hopefully the exercise of listing things you like and dislike as well as what you are good and bad at helps orient you towards the future. Now comes the second part of the equation: Where do you want to go? This is important because it is equally important as what it is you would like to do with the rest of your life. 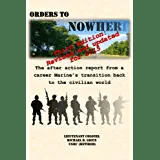 As a separating servicemember you are in a pretty good position to decide where you want to live; you can stay where you are or the military will relocate back where you first entered the service from at no cost to you. However, if you decide to go someplace else the government will compensate you for the amount it would have cost to send you home. If you settle someplace closer, though, you don’t get to pocket the difference. The reason this is important is because aligning your career aspirations with where you and your family would like to live is critical. Transition is a very stressful time, and there are a lot of resources out there to help you move to your post-military home and help find employment. Unfortunately, those resources dry up pretty quickly once you are out and you cannot go back and undo the decisions you made as you transitioned. The decision of where to live is what we are looking at more closely today. 1) What will make you and your family happy? You have likely been moving around where the military has ordered you to go, and as a result your family has made sacrifices along the way. Your final move should be somewhere that you and your family want. Family input is critical; after all they have supported you in your vagabond career so now it is time to listen to them. 2) Is where you want to live consistent with your new goals in life? You have more of an idea of what you want to do in the future, but can you do it where you end up? If you want to be a great skiier then you may want to make sure you end up someplace with snow covered mountains, or if your life goal is to become a captain of a fishing boat then there had better be some water nearby. 3) Can you afford to go there? Your military relocation benefits will greatly assist you in getting to where you want to go, but once they run out you are on your own. You really need to assess your financial situation, career goals, and family desires and make sure that you don’t make a stressful time even more so by putting yourself in a fiscally challenging environment. These are big considerations because they all involve compromise. To be successful it is imperative that you balance your career goals with your family and finances or you may find yourself in a tough spot without the ability to go back to the military for help. So think about it. Where do you want to go? Sounds like time for another list, so take out a sheet of paper. This time, though, give it to your family. Ask them where they would like to live, then compare it to your goals and financial situation. You may be surprised at how it shapes your perspective on life after the military, so take the time to really examine where you want to plant the family flag so that it is a place that you can really and truly call home. After all, you have been serving your country for years. Isn’t it time to get a little of the American Dream for yourself and your family? You’ve earned it, and the best way to make sure it really is the dream that hope for make sure that your career goals, family, and finances are aligned. If you don’t there will be a lot more stress in your future. So sit down with your family and pull out another sheet of paper. I guarantee you will be glad that you did. This entry was posted in Transition Posts and tagged career, EAS, Home, Moving, Retirement, transition. Bookmark the permalink.